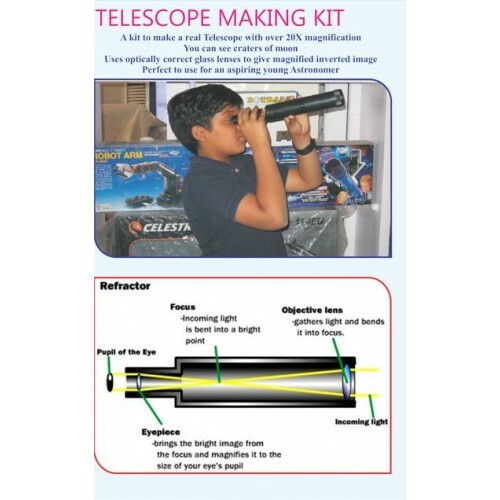 A kit to make a real telescope with over 20X magnification. You can see craters of moon. 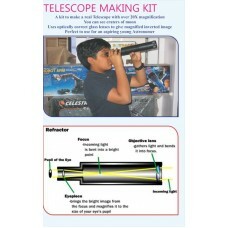 Uses optically correct glass lanses to give magnified inverted image Perfect to use for an aspiring young Astronomer.